Just when you think fried dough can't get any better, this Fried dough stuffed with banana and sprinkled with powdered sugar is going to change your mind! 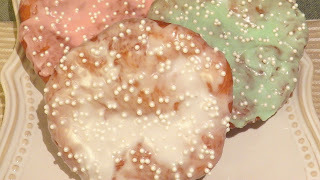 I am excited to reveal the second of my Month of August Fried Dough Celebration recipe. As I mentioned in a previous post, I love warm bananas. Well, this is just another way to get myself more of them! 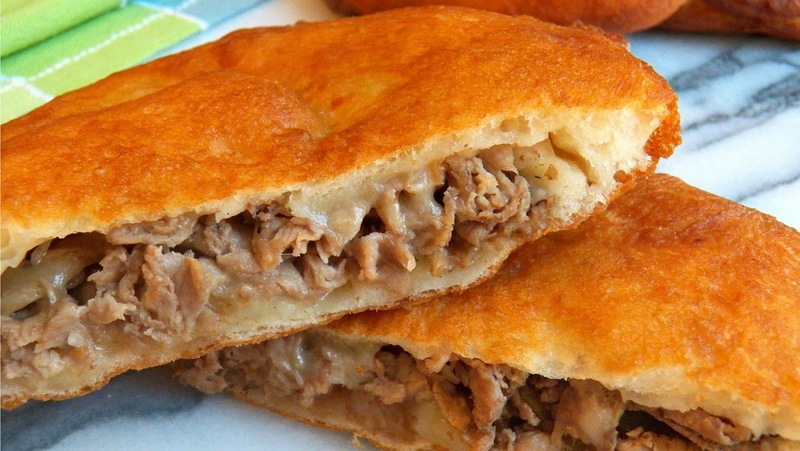 This time, stuffed into a tasty dough and deep fried! It is finished off simply, with powdered sugar. Simply delicious! Add water to the stand mixer bowl. Add yeast and let sit for five minutes. Stir. Add milk, sugar, salt, shortening and 2 cups of flour. On low speed, combine the ingredients until smooth, scraping bowl with a rubber spatula. Turn off mixer. Add two more cups of flour. Starting on low, incorporate the flour. Gradually increase speed to 4 or medium. Stop the mixer to scrape the flour off the side of the bowl. Once the dough pulls away from the side of the bowl on its own, check the consistency. If it feels wet and clumps to hands, add 1/8 cup of flour at a time until dough no longer clumps. Mix on level 4 or medium for 5 minutes. After the kneading process, dough should be smooth and elastic. With greased hands, remove dough and place on a lightly floured surface. Knead about 10 times using the palms of your hands. Place in a large greased bowl. Cover with a greased plastic wrap and a cloth towel. Place in a warm area until doubled in size, about 1 hour. Punch down dough with greased hands. Pinch off a small pieces and shape into 5-inch rounds that are no more than 1/4 inch thick. If the dough is too tacky when forming rounds, generously dust the work surface and your hands with flour. Place rounds on greased or floured surface. Preheat 3-4 inch of oil in a deep fryer or a frying pan to 375 degrees F.
Add banana, granulated sugar, and cinnamon into a large bowl. Gently stir to combine. To stuff the dough, place about 8 banana slices on one of the rounds. Cover with a second round. Press edges down with fingers to seal. To cook, gently transfer one at a time, to the hot oil using a large greased spatula. Fry until golden brown, about 1 to 2 minutes per side. Place on paper towels to drain. Sprinkle with powdered sugar. Makes about 8 servings. The banana fried dough is awesome. GREAT idea!! I'm bananas for bananas! This looks so yummy! What a yummy idea!! I have a feeling this would be a big hit in our house! Thanks Michelle! 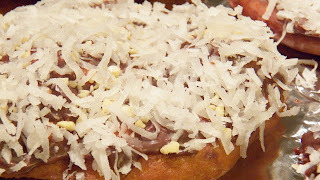 If you like bananas and you like fried dough, then you are going to like this. Oh my, I would just love a nice slice of this Banana Stuffed Fried Dough. Hope you are having a great day and thanks so much for sharing your awesome post with Full Plate Thursday. Thanks for stopping by, Miz Helen.